PUBG Corporation is on a roll against cheaters, having banned over 13 million accounts since last year when the wide scale campaign started. In the process there have been arrests, fines worth millions of dollars and the implementation of new anti-cheat software. Most recently they’ve convinced PayPal to terminate the accounts of cheat sellers. The website reports that sales have in fact increased, though it’s hard to verify if that’s true – they might just be saying that out of spite. Intriguingly, they say that they aren’t the first site that this has happened to and are expecting most of the cheating industry to switch over to anonymous cryptocurrency transactions. According to a post on PUBG’s official Korean forums, they’ll also be implementing a new anti-cheat tool and hardware bans with the November 10 update. PUBG is only the latest game developer on the warpath; you can expect Fortnite and others to be following suit soon. Cross your fingers that creative countermeasures like this will bring an end to cheating in multiplayer games. Makes sense. These people are getting payed to help potential cheaters who in turn ruin other people's enjoyment of the game. If you want to cheat, do so in a single player game. stewi0001 and Eldritch like this. While I do like what is happening against cheaters, they will be one step ahead just like cirminals are a step ahead of law enforncement. Cheating wont ever be stopped but new anti cheat measures should have been happening long ago. 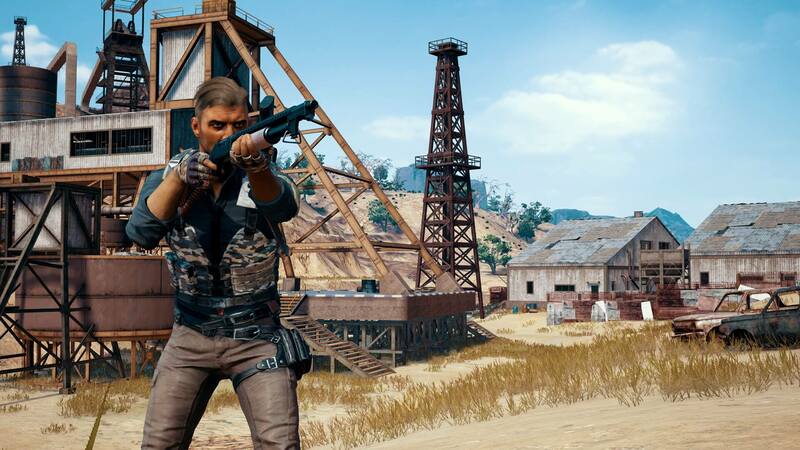 It takes a popular game like Pubg to do something or risk a lot of players leaving. It's lost 2 million players but maintains about 1 million players. If they can slow down and get rid of a lot of cheating, it will help a lot. They still need to work on the bugs that continue to break the game like matchmaking did. Even though a fix is coming and a small hotfix has been done, this shouldn't have happened if it was properly tested which is clearly wasn't. No point in a Test Server if you keep overlooking or simply keep failing on properly testing updates. Might as well just send it to live server and be done with it. At least this way, the fixes may come a lil quicker rather than waiting on the Test Server which seems to be failing it's purpose or at least it's name. Cheaters, after poor optimization, is the most serious plague of competitive gaming. You see a group of people in the park playing cards, you come right in the middle and take a **** there. That's what cheating is. Make your own game and distribute cheats for it all you want. While you can't eliminate cheating entirely, you can make it too big a hassle for your average cheater at too high a cost. Companies do not take fighting hacking seriously. Speed and cost of game development always take priority. But if they want to take this live services nonsense multiplayer only games anywhere, they absolutely must establish basic game integrity. Btw, why aren't companies banding together? Form a cheater registry across all the games. That would be a big deterrent. Once a cheater, always a cheater. This will have no effect what so ever. Any decent development studio will just use another third-party payment gateway. Implementing Stripe API is fairly easy. Sad to know there is a "cheating industry." People are so pathetic. I want someone to analyze the mind of a cheater and see what's going on in there. I bet it's the same type of chaos that goes on in a killer's head. If anyone remembers the movie "The Cell" with Jennifer Lopez, I think they should do a movie like that but instead of going into a psycho killer's mind, they should go into a freakin cheater's mind. As you can see...I hate cheaters...with a passion. PUBG - a game with horrible graphics that needs a supercomputer to run at half the frame rate a normal high-quality game would run. Just delete that piece of crap, it's only contributing to global warming.